For an extra layer of protection you can add a view limit to your Qwilr Pages. This is great if you want to make something a limited offer, or if you just want to be sure your page isn't being shared widely and viewed widely. Note: This feature is only available on our Business & Enterprise plans. 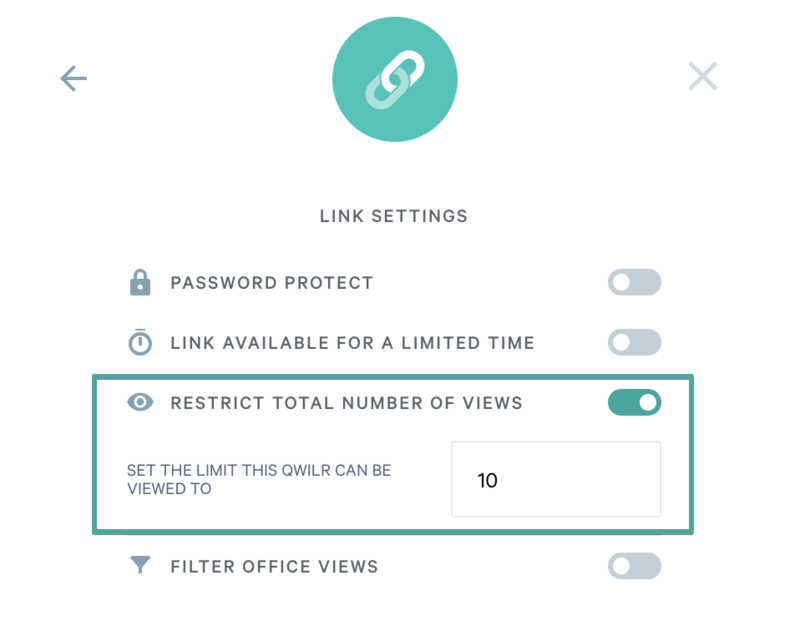 Within Qwilr you'll be able to restrict how many times your Qwilr Page can be viewed. It's kind of like Snapchat, but for your Qwilr Pages. First you'll need to head to the security settings page, then choose Restrict total number of views. From there decide how many times your Qwilr Page can be viewed. Once that number has been reached your clients will receive an error when viewing the document and you'll see the status on your dashboard change to View Limit.